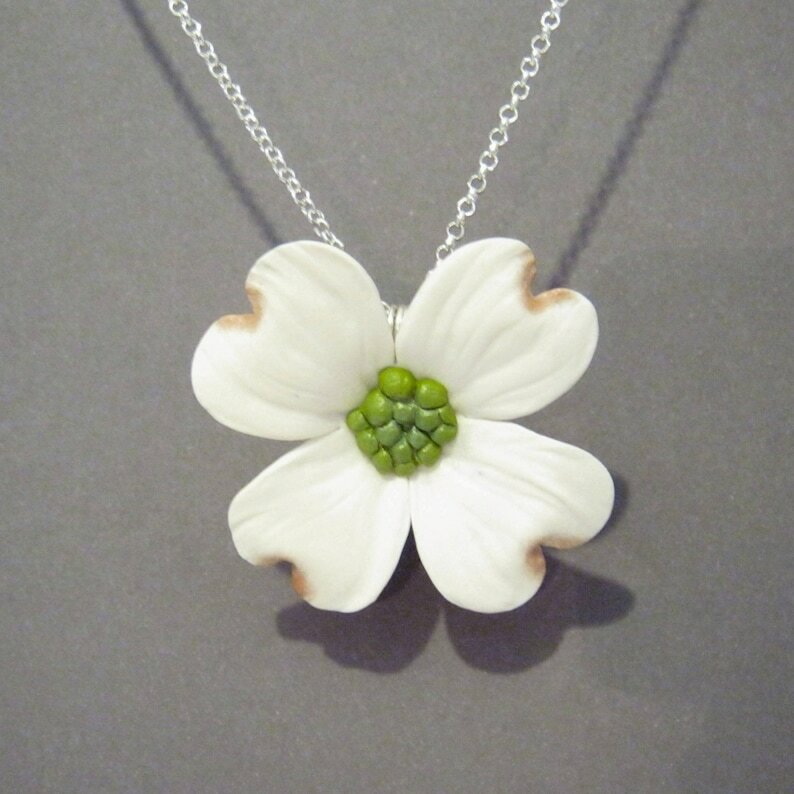 Dogwood flower pendants are like a little bit of spring you can wear around your neck. This beauty measures 2.5 inches (5 cm) across but is lightweight. The embedded wire bail is non-tarnish silver plated copper Parawire. Shown with the included silver plated rolo chain - just select your length. The last photo shows the pink version. See my other listing for more photos of the pink version.